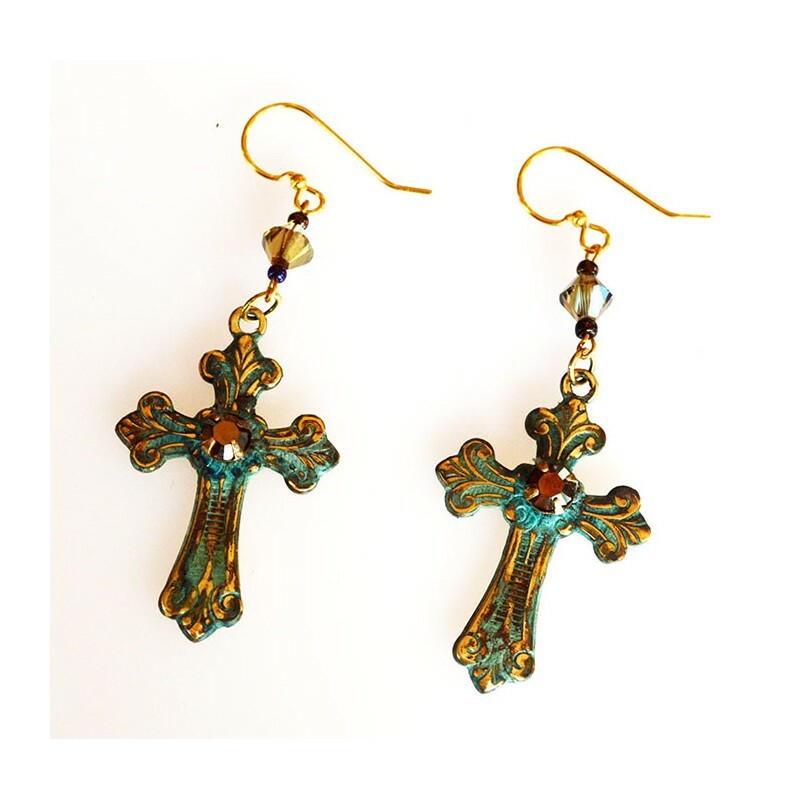 Solid Brass Cross Dangle Earrings with a highly detailed Scrollwork Edge design in our signature Verdigris Patina, Bronze Swarovski Crystals and Crystal Beads. 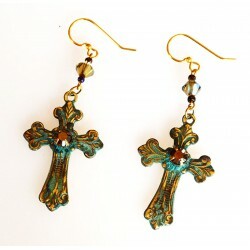 Gold Plated French Wire Pierced Closures. Earrings Measure: 1" x 2" (with Crystal Bead).